Friday, June 5, 2015, 5-7 pm – 1st Friday Artwalk. A group show of Bainbridge artists, curated by Patrick Gulke. Wednesday, June 17, 7:30-9pm – A travelogue of Cuba. Long off limits to travelers, the door to Cuba is opening for Americans. Join Matthew Brumley, founder of Earthbound Expeditions on Bainbridge Island, to learn about travel to this beautiful country. Co-sponsored by the Library and The Traveler store on Winslow Way. 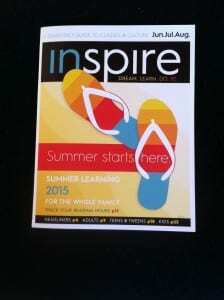 At the Library, pick up a copy of the new magazine that Kitsap Regional Libraries (KRL) are publishing. Thursday, June 18, 7-8:30pm – Responding to Abrupt Climate Change. Professor Guy McPherson, author of ten books, including the recent ‘Going Dark’ will be presenting his evidence for a controversial theory that defies the scientific consensus: abrupt climate change. He’ll discuss the implications and an accompanying life philosophy. Friday, June 19, 1-2:30pm – Composting with John Barutt. Join this master composter for a presentation on composting techniques, followed by a chance to ask all your “rot-related” questions. John welcomes those new to composting and also experienced composters wanting to improve an established system. Saturday & Sunday, June 20 & 21, 7:30-9pm, Island Theatre. Blackbird, by David Harrower. Two people who once had a passionate affair meet again fifteen years later. Guilt, rage and raw emotions run high as they recollect their relationship when she was twelve and he was forty. Without moral judgments, the play never shies away from the brutal truth of the abandoned and unconventional love. Wednesday, June 24, 7-9pm – What Do You Know: Knowledge Explorations Led by Community Experts. Astronomy: The Cosmic Distance Ladder with Steve Ruhl of Battle Point Astronomical Association. Steve will examine the process of measuring astronomical distances – from ancient wells in Egypt to the present. Friday, June 26, 1:30-3pm – Salon … a forum for conversation meeting from May to October. It’s for men and women who enjoy stimulating conversation and wish to learn from others in civil dialogue. Current hot topics of general interest that impact the public. Tuesday, June 30, 7-8pm – West Sound Reads at the Bainbridge Island Museum of Art: Annie Barrows, co-author of The Guernsey Literary and Potato Peel Pie Society once again evokes the charm and eccentricity of a small town filled with extraordinary characters with her new novel, The Truth According to Us. 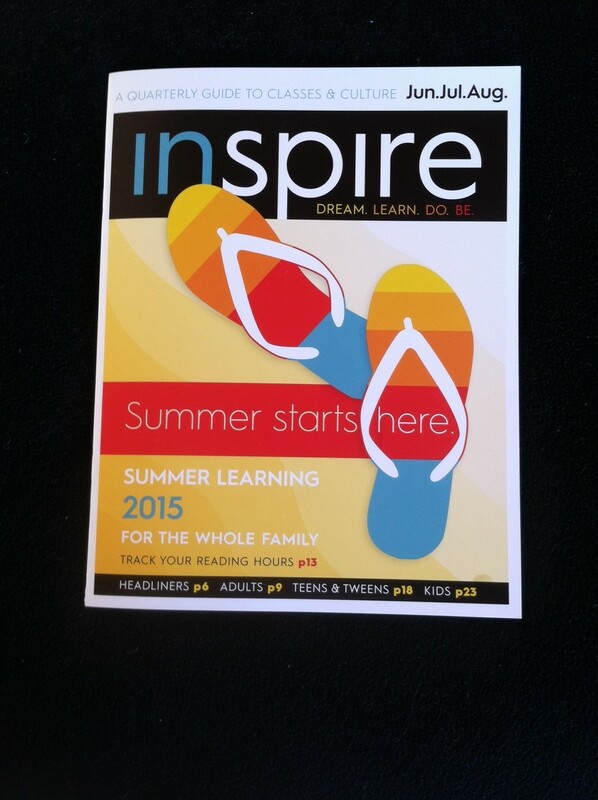 For more information, see “Inspire Magazine” (something new at the Library), or the Library website.